How Can Teachers Integrate Sustainabiity Topics Into Their Curricula? Teaching our kids about sustainability and green living is one of the most important things we can do to safeguard the future of humanity and the planet we inhabit. The North American Association for Environmental Education (NAAEE) reports that environmental education teaches children how to learn about and investigate their environment and to make intelligent, informed decisions about sustainability. Furthermore, learning about the environment is multi-disciplinary, so it allows teachers a rare opportunityto integrate different parts of the their curriculum while challenging students to think about the big picture. Thankfully, teachers today have a plethora of resources for incorporating sustainability in their lessons and activities. One great resource is Green Teacher, a quarterly magazine dedicated to helping educators promote environmental awareness among young people aged six through 19. The magazine offers perspectives on the role of education in creating a sustainable future and provides lots of ready-to-use activities. Green Teacher has also released a series of books, including Teaching Green: The Elementary Years, Teaching Green: The Middle School Years and Teaching Green: The High School Years, each which contain over 50 of the best teaching strategies and activities published in the magazine over the past decade. These books contain kid-tested ideas contributed by educators from across North America and cover a wide spectrum of environmental topics, from biodiversity to resource consumption to green technology. Another one of Green Teacher’s books, Teaching in the Outdoors, is a practical guide for getting students outside and includes helpful suggestions for maximizing their learning experience when they get there. Another great resource is the U.S. Energy Information Administration’s “Energy Kids” website, which provides teachers with energy related stories, hands-on activities and research articles for their classrooms. Free, easy-to-access lesson plans allow students from K-12 to have fun learning about different forms of energy and why some are better for the environment than others. The website also offers biographies of scientists that discovered the energy sources we use today, energy timelines that show how different energy sources and technologies have evolved, and stats on topics like what renewable fuel the U.S. uses most. 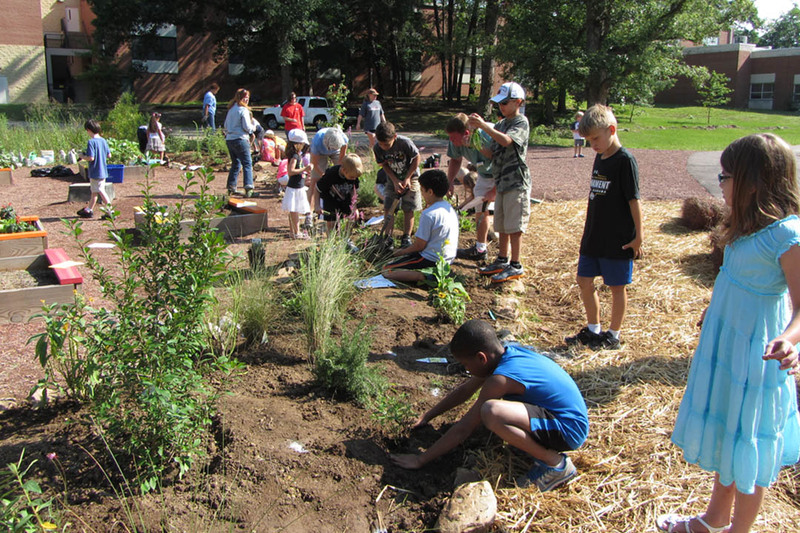 A more “hands-on” approach to getting students involved and concerned about their environment is to start a school garden—planted and tended by the kids themselves. According to KidsGardening.org, school gardens build an understanding of and respect for nature and our environment while motivating kids to eat and love fruits and vegetables. Gardening also teaches children to nurture and care for other living things while developing patience. KidsGardening.org provides a full step-by-step guide to help any teacher get a school garden off to a great start. NextDoes Corporate Social Responsibility Increase Profits? Has Recycling Lived Up to Its Promises? Banning Plastic Bags: What Next?